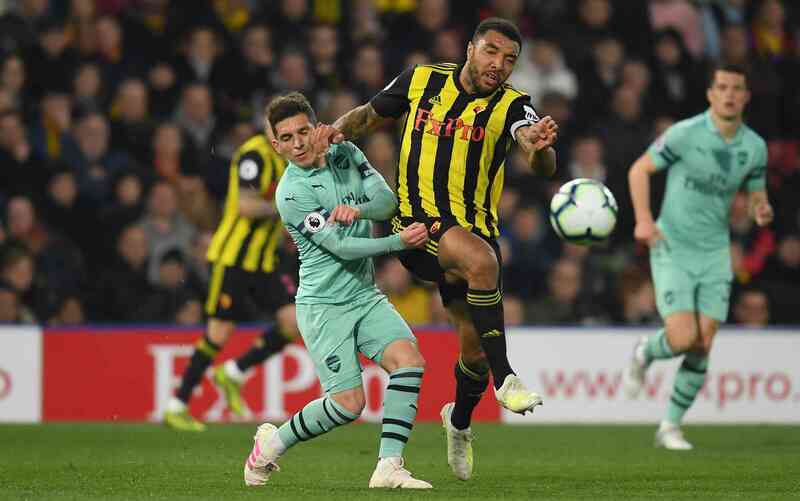 WATFORD skipper Troy Deeney was shown red against Arsenal after being adjudged to have elbowed Lucas Torreira. The striker ran past Torreira and looked to have hit the midfielder in the face, though replays revealed his elbow did not make contact and it is unclear whether it was on purpose. 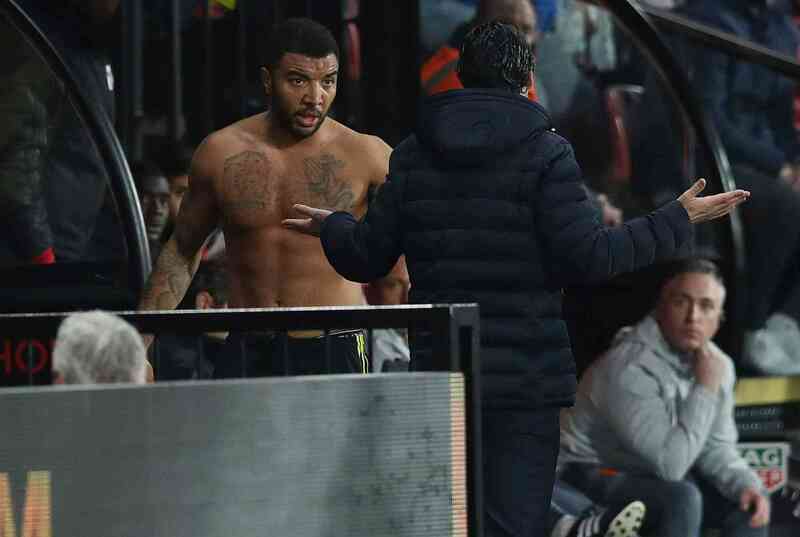 As Deeney was red-carded the Watford captain threw his shirt in disgust as he left his team one player down trailing 1-0 at home to the Gunners. The English forward then clashed with Arsenal manager Unai Emery as the pair exchanged words. After the sending off, fans on Twitter were divided with the decision - with some agreeing it was a red, while others saw the dismissal was harsh. One said: "He knew exactly what he was doing." Another said: "So soft.....players don't care anymore they go down so easily." One commented: "Correct call lads... deliberate strike onto head/face with hand/arm, goes under violent conduct, and force wasn't negligible so red card offence." Another commented: "This is why the premier league needs VAR Never a red card." Ex-Chelsea striker Chris Sutton said on BBC Radio 5 live: "The Arsenal players might be suggesting that Troy Deeney lacks brain cells tonight because that was sheer stupidity. A deserved red card."